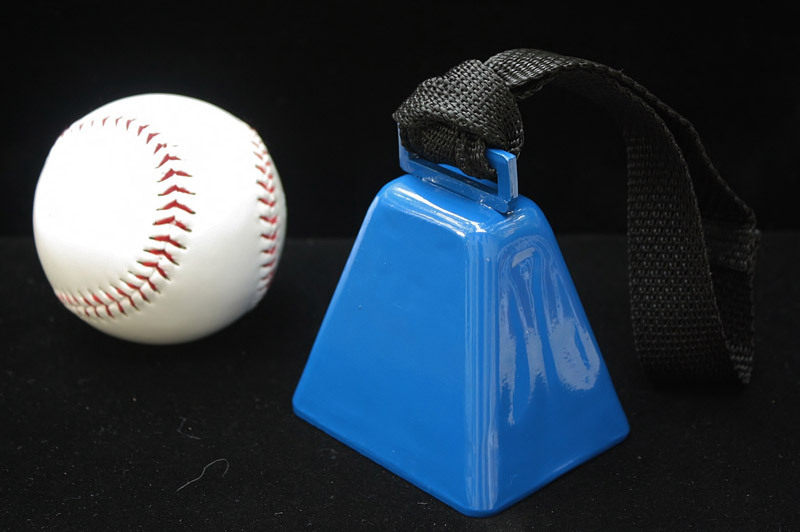 This blue cowbell comes with an optional black or white strap. 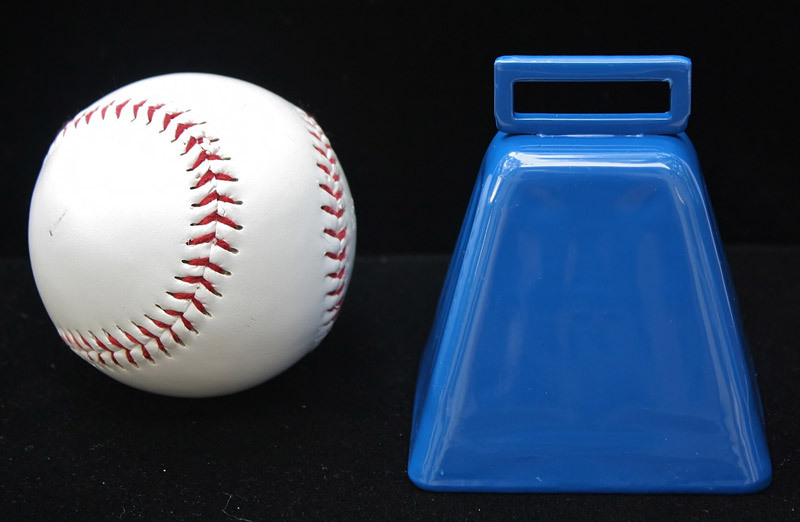 Bring it to sporting events and decorate your home. 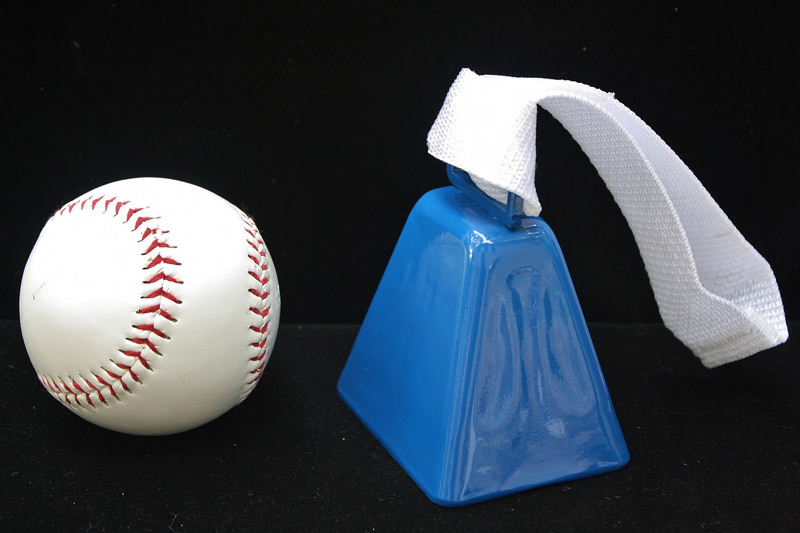 This cowbell will make noise and draw eyes!